Joe Arpaio will not stand idly by as the media paints him as a felon. 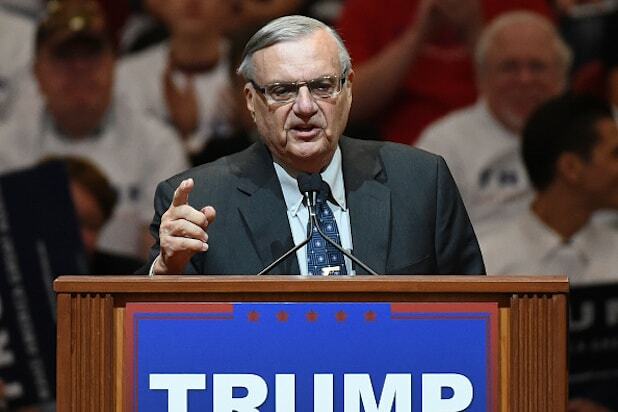 Former Maricopa County, Arizona sheriff and Senate candidate Arpaio has filed a lawsuit against CNN, Rolling Stone and Huffington Post, accusing the outlets of falsely portraying his criminal record. A spokesperson for CNN told TheWrap on Tuesday that the outlet has no comment on the suit. TheWrap has reached out to a representative for Huffington Post and attempted to reach out to a representative for Roling Stone for comment on the suit. “Plaintiff Arpaio’s distinguished 55-year law enforcement and political career has been severely harmed, as his reputation has been severely damaged among and with the Republican establishment, which is centered in the District of Columbia. The false publications alleged herein all occurred in this district and are continuing,” the suit reads, adding that the reports have “severely harmed” Arpaio’s prospects of election to the U.S. Senate in 2020.